Well if you are reading this then you know how quickly entry into the home can be achieved. 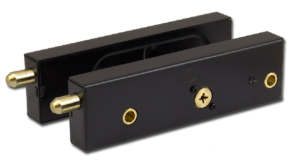 A non 3 star lock will give you 9.2 seconds before a burglar has entered your locked property. Well I am sure you can guess a standard garage door lock will not last that long. The video isn’t great-one handed filming with my phone and gaining entry into the lock. 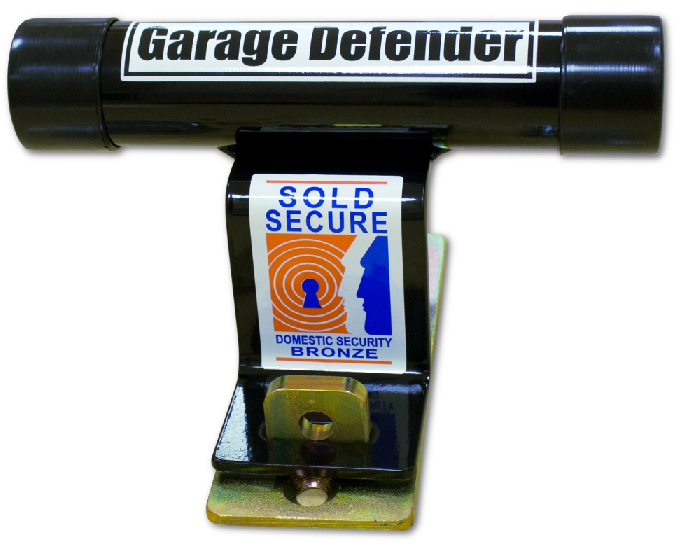 It does however, show that gaining entry into a garage and locking it back up is easily done. 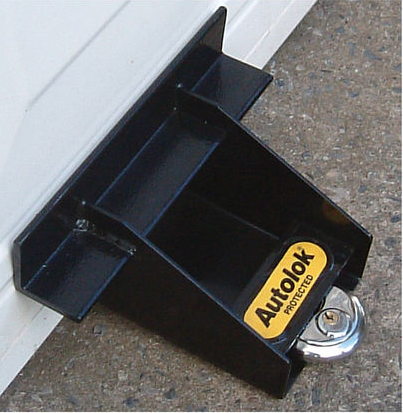 An effective solution fitted to the garage door that can be unlocked from the outside and bolt the door into the frame/wall. Low cost to procure but time consuming to fit with hole drilled into the door. 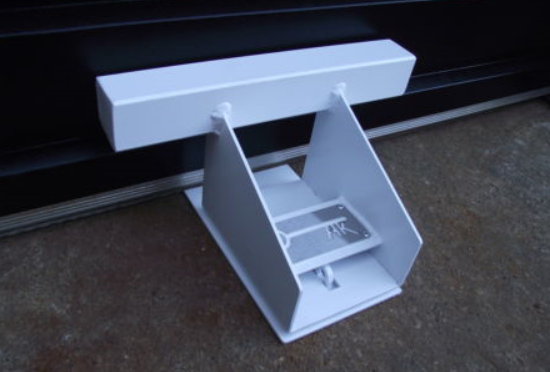 My personal view is a great product and versatile (I’ve used them on shed doors as well as garage doors). The issue I get is the homeowner does not appreciate the time to install and cost associated with it. A rented accommodation may have issues with drilling through a garage door (risk of rust as you breach the galvanised coating of the door). Plastic caps-pop the cap-slip a large bar in and leverage. Never tried it but a lot quieter than drilling a padlock. Use the solid build of the device to force the padlock or bolt. Should be welded closed in my opinion but understand the cost would have to be passed onto the consumer. However, my big issue is one of the mounting holes is at the front of the garage door. Modern properties have a drain channel in front of the door, tarmac or block paved drive. The blokka uses four mounting holes that are inside the garage. Welded closed (no plastic caps) and mounted internally. Fixes the two issues of the garage defender with the addition of a more substantial bar at the garage door than the blokka. I had the privilege to be able to meet Andy the designer of the product in his production environment. Which clearly meant I could evaluate the product, the producer and get the history. Well, its produced locally (S Yorkshire) and gone through over 20 versions to be what you see today. A substantial build with some expensive machinery to cut and fold the steel, let alone the galvanised plate and powder coated finish. The smell of cut and welded metal wafts throughout the facility in a true production environment run by such a helpful and knowledgeable gent. So, a big thanks to Andy for taking time out of his day but meeting Andy would sell the product (even though the product sells itself). I suppose the best of all is that if you want to spend £60 then Dawson-Sawyer Locksmiths will install it for you at that price (assuming you live in Barnsley or very close). So, stay at home as you will only buy more things at Machine Mart and give us a ring on 07500 171819.